So yesterday was my 30th birthday! I had a wonderful day. My husband didn’t go and buy me a gift. I didn’t have a big blowout birthday bash. We didn’t have a special date to some fancy restaurant. In fact in was an ordinary day, aside from a birthday cake and song. 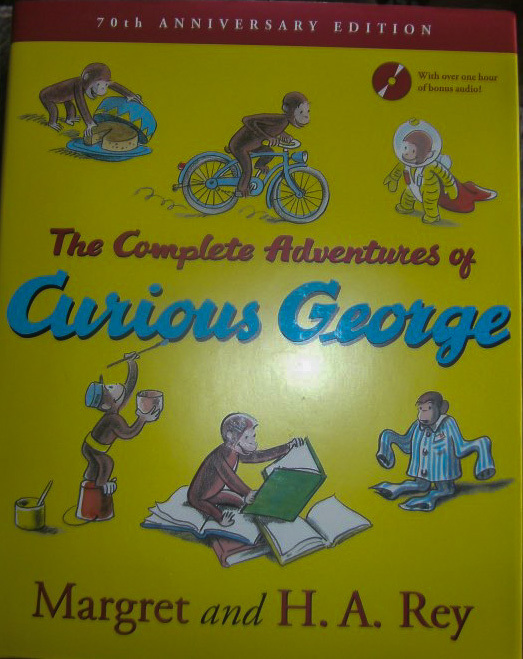 Why then was it so wonderful? I got to spend it with my husband! For those of you who don’t know or don’t understand, we have only spent 2 prior birthdays together in the last ten years. At the end of the day, spending my birthday with him was the only thing I really wanted, and my wish came true. So yesterday after unloading the trailer we came back and my little fishies and their daddy fishy went swimming. If I hadn’t been so exhausted I probably would have joined them. Instead Madelyn and I relaxed poolside. 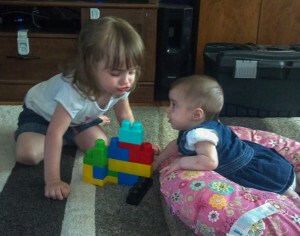 I also was able to get some really adorable pictures. The day concluded with tacos for dinner and our friends also got cake and ice cream to help me celebrate my birthday. Everyone gathered in the kitchen and sang happy birthday. It was probably sang in 4 or more keys, but it was music to my ears. It was the sound of friends and family wishing me a happy birthday. Today I am thankful to the Lord for the blessings of home, family, and friends. It was those three blessings that made my day so special. This entry was posted in Life and tagged birthday, Family, friends, Moving on September 2, 2013 by Sara R.
This post is late in coming today due to a comedy of errors and being extra busy trying to move out of the old house. 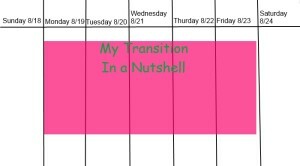 I had wanted to talk to you about homeschooling through transition, but I think I will save that post for next week. Instead today I just want to explain a little bit about the transition my life is going through. As you all know by now I have been planning a big move. I have spent the last week packing my family up. 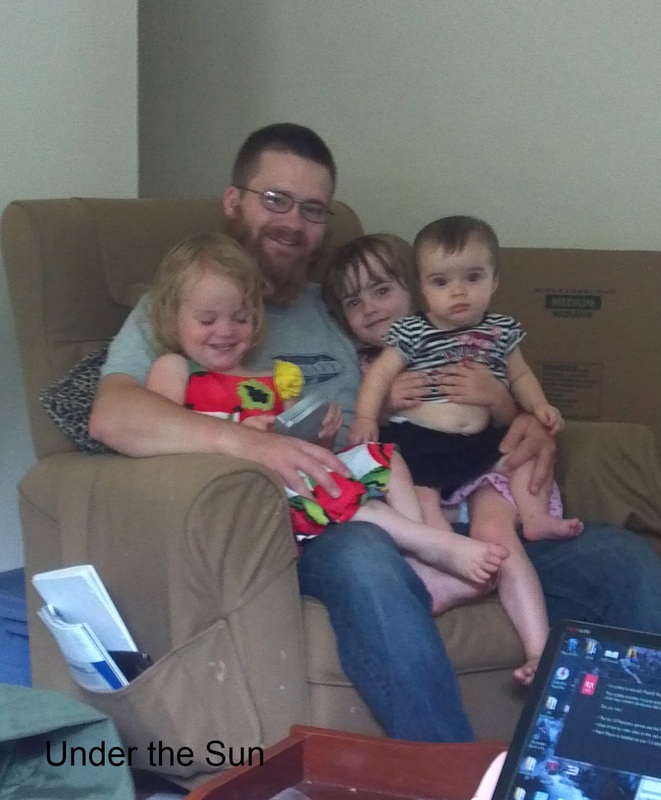 The kids and I saw my husband and many of our belongings off last week Thursday. It was a very emotional day for all of us. 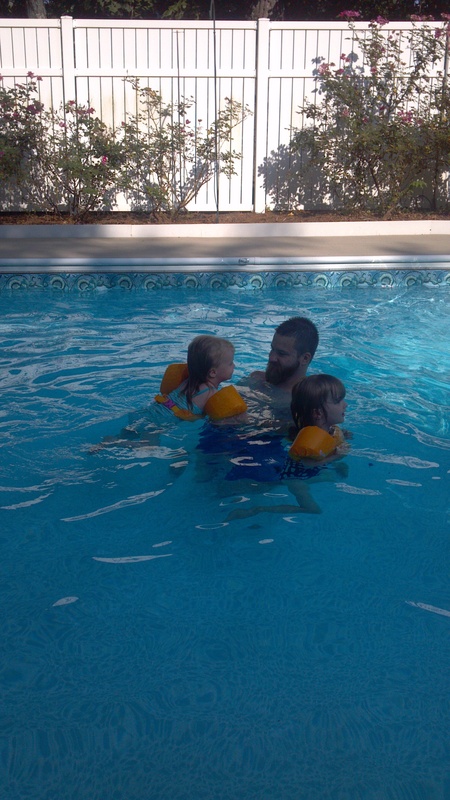 The kids didn’t understand why they couldn’t go with Daddy, and we found it difficult saying good-bye not knowing how soon we would be together again. 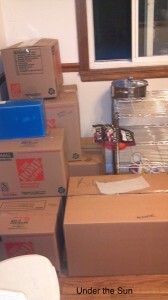 After he left I continued my journey on packing the house. Monday, yesterday, the movers arrived. They came and they packed the house. I was busy with the movers and loading of my own until almost six at night. My two oldest girls left with their grandparents ahead of me. I eventually settled in to a hotel, since I needed to go back to the empty house in the morning. I figured at the hotel I would finally get to write my post. Alas writing was not in the cards for me. I was on the phone with tech support trying to get the computer to connect to the hotel’s internet till 10 something at night. At that point I told them I thought it was just not meant to be and I planned on going to bed. Little ole me thought things would still be ok and I would get to write my post early in the afternoon today. So I turn around and drive an hour back to the area I had just left. It is a good thing I did. As it turns out I forgot ALL my important documents: social security cards, car titles, marriage license, birth certificates, and so on. I thank God that there are honest people in this world. I am ever so appreciative that I got it all back. I didn’t even know it had fallen out of my bag. When I finally arrived at my parent’s house it was just in time for dinner. By the time I was done taking care of pets, kids, and tummies it was later than I wanted. Wish me luck and maybe I can get my act together and have my recipe up in a timely fashion tomorrow. 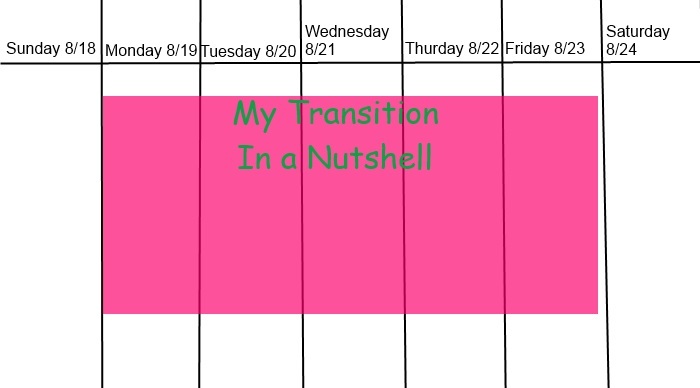 I hope you enjoyed my transition, thus far, in a nutshell. 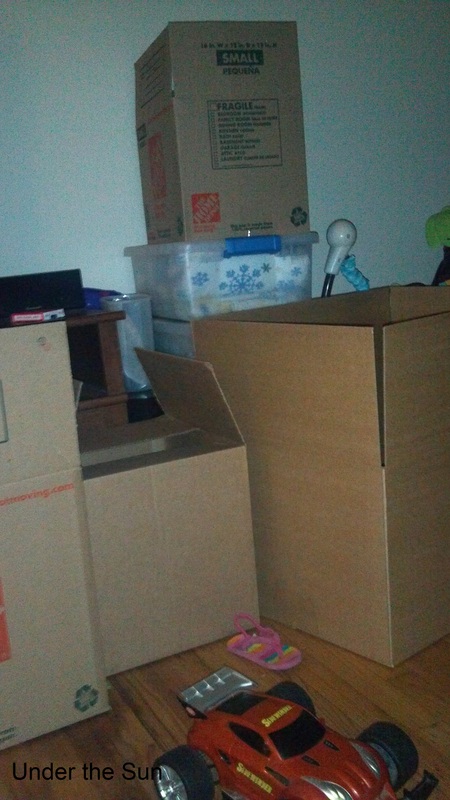 This entry was posted in Life and tagged Life, Moving on August 20, 2013 by Sara R.
It is a humbling to see your life summed up in boxes. The boxes hold our food, our entertainment, memories, toys, essentials, and so much more. What these boxes do not have, and never will is have is our love. 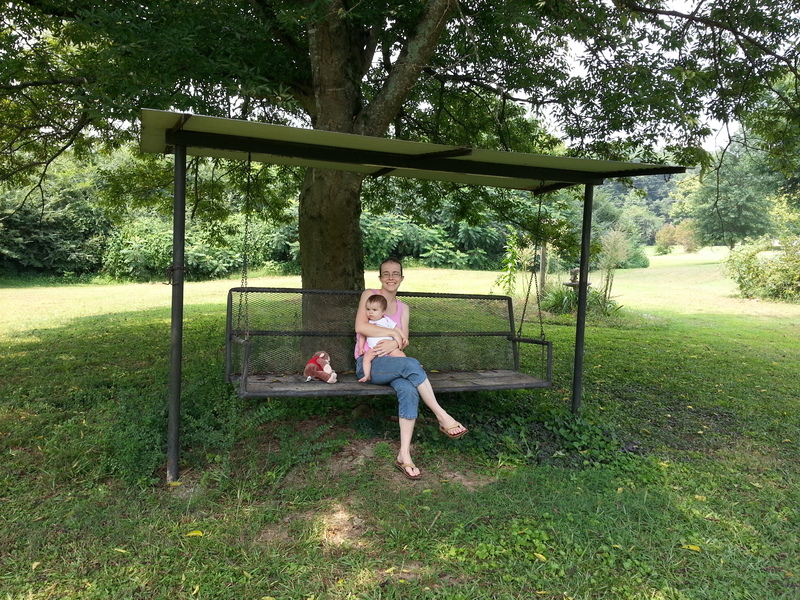 This entry was posted in Life and tagged Family, Life, Love, Moving on August 19, 2013 by Sara R.
So Rusty is looking at a possible career shift. I wouldn’t say a complete change because it is still up the repairing technology alley. If he gets the job he is looking at, it will mean another move for us. This possible move has lit a real fire under my tush. 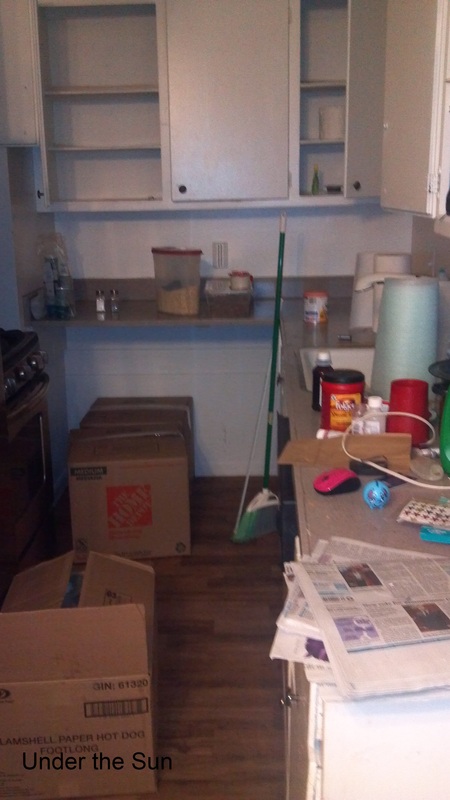 I am going crazy decluttering my house. So far, I have 6-7 large kitchen bags of items to donate, a stroller, and a pack and play. 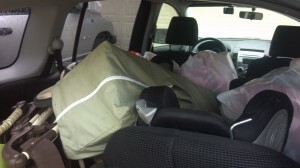 My car full of everything I now get to take to the local Salvation Army. I am just tired of moving though. 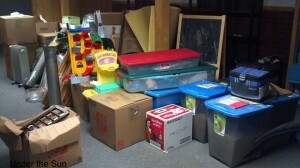 Even more than that I am tired of move junk, hence the decluttering. I feel like in the last few years all we have really done is move much of our junk from house to apartment to house with out really looking at it and with out properly decluttering. When we moved into this house I had told Rusty I hadn’t wanted to move again in a year, although now moving looks like a distinct possibility. Instead of nagging my loving husband about the fact we could be moving again, I am embracing it. I am looking at the positive aspects. I am encouraging him. I am trying to follow his lead. Rusty can not be the leader of our home if I am trying to pull the reigns away from him. Instead I am trying to get his vision for the future, and see how this possible shift can play into the plan God has for us. This entry was posted in Marriage and tagged Decluttering, Future, God, Life, Marriage, Moving on July 1, 2013 by Sara R.